Draper Tools 8 Piece Long Metric Stainless Steel Combination Spanner Set 44019 Professional Quality, forged from stainless steel hardened, tempered. Bi-hexagon ring and jaw offset at 15°. 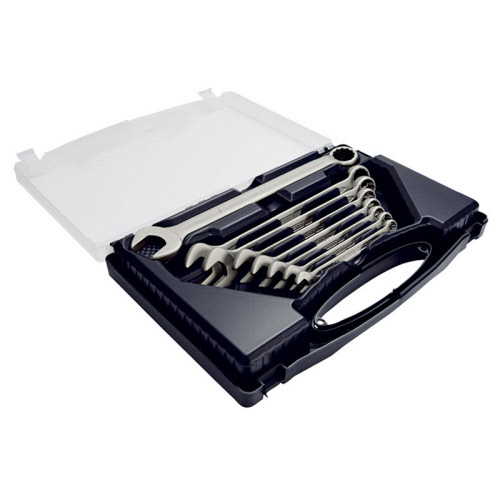 These spanners are aimed at applications where cleanliness is paramount, specifically on stainless steel fittings where a ferrous based spanner would transfer material to the fixing, promoting the formation of rust. With no need to plate the spanner there is no danger of chrome plate flakes contaminating the work area.